Mid-Century architecture is roughly dated from the 1933 to 1965. Many mark the beginning of the movement with Frank Lloyd Wright's Robie House and the Bauhaus movement. Scandinavian architecture, organic forms, integration with nature, and simplicity make the mid-century architecture unique to it's time. 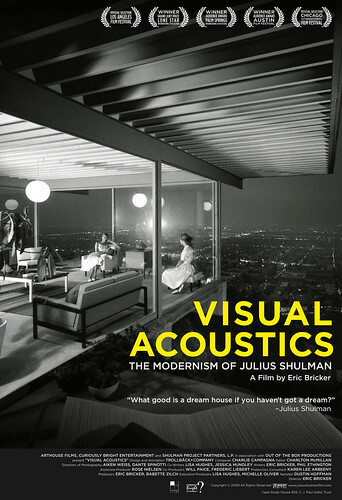 For those of you who are not familiar with Mid-Century Architecture, Visual Acoustics is a great documentary film that portrays the boldness of the era of Mid-Century Architecture through the work of Julius Shulman. 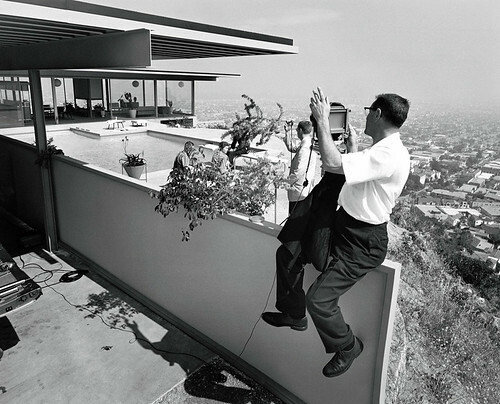 The film is a celebration of Julius Shulman, one of the greatest architectural photographers. Shulman was commissioned by iconic architects including Richard Neutra, John Lautner, Rudolf Schindler, and Gregory Aln and retained close personal relationships with them. His photographs are iconic pieces of the 'Southern California Image,' and for many of the structures they serve as the only evidence left of the true design the architects created. 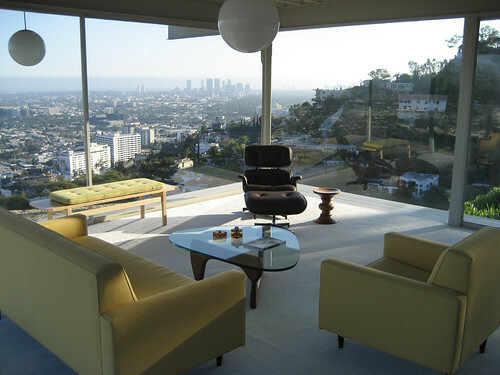 The film poster is from Shulman's most prized photo, The Stahl House, by Pierre Koenig. The Stahl House was one of the 36 designs built as part of the Case Study Homes, which was an experiment by architects to create inexpensive efficient homes in the mid 1900’s during the US residential house boom. We are happy to announce that the Stahl House is left intact and has been preserved by it's first resident! Southern California has seen its fair share of bad architecture over the years and this film has reminded us once again of the great ideals and principles of great Mid-Century Architecture that is too often forgotten about.